Na Sarah Pelaji HAYA njoni tusemezane mazingira mali yetu, uhai wetu na fahari yetu. Tulirithituwarithishe. Tulipewa bure tuwape bure. Ruvu. Communities surrounding and engaged in safeguarding the South Ruvu Forest Reserve are seeking a share of revenues collected from illegally harvested trees. The communities and the Tanzania Forest Service (TFS) Agency have entered into an agreement on participatory natural forest management.According to reports, there are 48.1 million hectares of forest reserves, equivalent to 55 percent of all Tanzania land. Mgogoro wa uongozi katika kijiji cha Mihima Wilaya ya Lindi, unatajwa kuwa unaweza kuangamiza msitu wa hifadhi wa kijiji hicho wenye ukubwa hekta 2662. Wakizungumza na Lindiyetu.co.tz mwanzoni mwa wiki hii kijijini hapo, baadhi ya wananchi na viongozi wa serikali ya kijiji hicho, walisema mgogoro huo ambao uliodumu kwa takribani miaka mawili, chanzo chake kikitajwa kuwa ni uamuzi wa wananchi kuuondoa uongozi wa kijiji hicho kutokana na tuhuma za ufisadi, umeathiri shuguli za maendeleo na kusabanisha uharibifu mkubwa wa msitu wa kijiji hicho. Walisema tangu viongozi wa wilaya ya Lindi walipo urejesha madarakani uongozi huo ambao uliondolewa na wananchi hakuna shuguli zozote zinafanyika katika kijiji hicho na uongozi huo umesambaratika. Aliyekuwa kaimu mwenyekiti wa serikali ya kijiji hicho, Emillian Hokororo, alisema amejiuzulu nafasi hiyo ili kukwepa fedheha. Kwasababu hakuna mikutano mikuu ya kijiji na serikali ya kijiji inayofanyika. Kwasababu wajumbe wengi wamejiuzulu. Alisema halihiyo inasababisha kijiji hicho kukosa viongozi ndipo maliasili za kijiji ikiwamo msitu huo kuvunwa ovyo. NATURAL and Tourism Minister Jumanne Maghembe hinted that consumption of charcoal in the country is likely to double by 2030. And, this is alarming news, indeed, as far as environmental protection and conservation are concerned. More charcoal consumption simply means increased deforestation, resulting into desertification. Available data show that charcoal use is likely to increase from 2.3 to 4.6 million tones by 2030. Obviously, increased use of charcoal will not affect only environment and nature, but also the total economic growth because there are many sectors that rely on well conserved and protected environment. Tourism, for instance, is one of the largest industries in today’s global economy. But, the rising sea levels, desertification, deforestation, melting of snow and glaciers adversely affect the sector. THE nation was told last year that invaders had occupied a natural forest that is home to Hadzabe people in Singida Region. The invaders were ordered by Mkalama District Commissioner (DC), Edward ole Lenga, to move out of the forest immediately. The DC ordered the invaders to move out of the conserved forest voluntarily short of which they would be arrested and prosecuted over illegal occupation of a conserved area. This is because of little or at times lack of cooperation between the village leaders, districts, natural resource committees and the law enforcers. WHEN Jamila Sallimu chikunda found out she was pregnant with her child in 2015, her joy quickly turned to anxiety. From the mountaintop at Skyline in the Chimanimani district of eastern Zimbabwe, a mosaic of scorched trees and timber can be seen stretching for miles on end. Dar es Salaam — Charcoal demand in Tanzania is likely to increase from 2.4 million to over 5 million tonnes annually by 2030 unless an affordable alternative cooking energy is found, experts have said. Dar es Salaam. Waziri Mkuu, Kassim Majaliwa ametoa miezi miwili kwa wakuu wa Mapori ya hifadhi za Msitu kuhakikisha wanaweka mawe ya alama(beacons) kwenye mipaka yao ili kuepusha migogoro na wanavijiji wanaowazunguka. Majaliwa ametoa agizo hilo leo(Jumatatu) wakati akizungumza na watendaji wakuu wa wizara ya Maliasili na Utalii na wakuu wa mapori ya hifadhi za Misitu nchini katika kikao alichokiitisha kwenyeukumbi wa ofisi ya waziri Mkuu mjini Dodoma. The two girls did not give me precise instructions on how to reach NR, that is how the joint is best known by locals here. One of them seemed to be in a hurry and felt bothered by my request for direction. It was the first time that I had been to the place and I thought it would be improper for me to roam around town looking for a place where I could get a beer or two to kill the fatigue after spending a good part of the day travelling on a bus. The other girl was willing to help but somehow the first one seemed to dictate terms and run the show. So all I eventually got were mumbled instructions complemented by fingers pointing to the direction that I should take. FOR a longtime, the timber dealers were crying foul over existence of ‘excessive checkpoints’ for inspecting forest products on Mtwara-Dar es Salaam Highway. 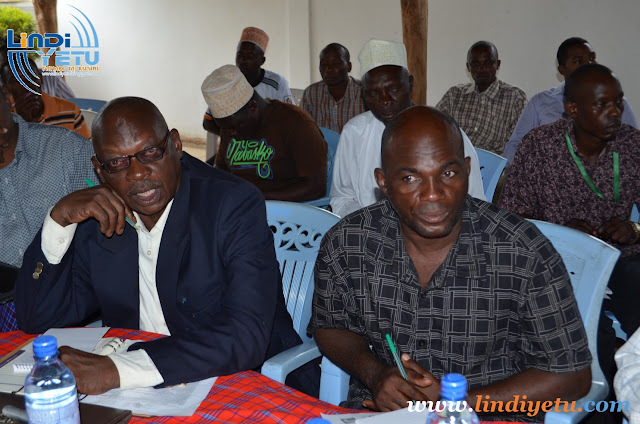 During one of their meetings early this year held in Lindi Region, the latter expressed their deep concern against big number of the roadblocks which they described them as ‘catalyst’ to corruption seriously affecting their business. The meeting was organised by Mama Misitu Campaign to bring together forestry stakeholders to discuss challenges in the timber trade and find a way forward. The short course had been conducted by a non-governmental organization, Tanzania Natural Resources Forum, through its Mama Misitu Campaign, which is a communication strategy that seeks to raise awareness among communities living around indigenous forests so that they may be able to benefit from the natural resource through conservation and sustainable consumption. The campaign also aims to enable traders in forest goods to conduct business profitably while paying all required taxes and contributing to the conservation of forests. The campaign was a big test to the newly appointed Regional Commissioners (RC’s) as President Magufuli and Prime Minister Kassim Majaliwa were insisting that the school desks campaign was one of the RCs’ performance ratings after being appointed. For those appointed to lead the regions blessed with forests were lucky as they capitalised on such natural resources available in their areas to make desks with minimised costs. Some villages never knew the contribution of the forests surrounding them to social-economic development, until school desks campaign which for them became an eye opener. Waziri mkuu, Kassim Majaliwa amewataka wananchi mkoani Lindi kutunza na kulinda misitu ili kuiepusha nchi kuwa jangwa. Majaliwa ametoa onyo hilo leo kwa nyakati tofauti, alipozungumza na wananchi katika vijiji vya Nanjalu, Nambilanje, Mkalanga, Namichiga, Nandenje na Mandarawe vilivyopo katika wilaya ya Ruangwa. Waziri Majaliwa ambae pia ni kiongozi wa shuguli za serikali bungeni, alisema uharibifu wa misitu licha ya kuharibu mazingira, lakini pia unasababisha serikali kutumia fedha nyingi katika kufanya tafiti na kuchimba visima vya maji kutokana na vyanzo vingi vya maji kukauka. Alisema hali ya uharibifu wa misitu ikiendelea, kunauwezekano mkubwa wa nchi kugeuka jangwa. Hivyo kila mwananchi anawajibu wakuilinda na kuitunza. MITI ya Mninga na Mkongo ambayo ni adhimu na adimu ipo hatarini kutoweka wilayani Nanyumbu mkoani Mtwara, endapo hakutakuwa na jitihada za kudhibiti uvunaji holela. Uchunguzi uliofanywa na sautiyamnyonge umebaini kuwa Mbao za meta za ujazo 566.12 zilivunwa ,mkaa gunia 38 pamoja na ukindu kilogram 1028 mwaka 2015/2016 ambapo jumla ya sh.139,673,3495 zimekusanywa kupiti mazao hayo huku mwaka 2014/2015 walikusanya cha sh. 214,518,073. Likanda ameishauri serikali kuimarisha ulinzi na usimamizi wa misitu ya hifadhi ya Taifa kwa kuweka askari wa misitu kama ilivyokuwa kipindi cha nyuma. UKUSANYAJI wa mapato kwa Serikali kutokana na mazao ya Misitu umepungua baada ya wafanyabiashara kujiusisha na utoroshaji wa mazao hayo mpakani mwa Tanzania na Msumbiji wakikwepa kodi na tozo zinazotozwa nchini na mamlaka za serikali. POOR governance and rampant corruption have been identified as contributing factors leading to government loss of revenue in the forestry sector. The 2007 Traffic Report was a revelation on how millions of dollars worth of timber revenue are being lost due to poor governance and rampant corruption in the sector. According to the report, illegal logging and corruption in the forest sector is a complex problem to which there is no simple solution. As such, it requires joint efforts from the government, civil societies, development partners and the private sector. Finland Embassy Deputy Head of Mission, Mr Simo- Pekka Parviainen notes that forest governance is the key aspect that deserves higher attention in forest management. “When there is weak forest governance, it leads into illegal practices that deprive the country billions in lost revenues. Such money can be invested in poverty reduction initiatives or back into forest management,” said Mr Parviainen. In the fight against illegal forest undertakings, the governments of Finland and Norway funded Mama Misitu campaign project which is being initiated by Tanzania Forest Working Group in response to the Traffic Report. Waziri mkuu Kassim Majaliwa , amewasimamisha kazi maofisa Misitu wanne na kusimamisha shughuli za uvunaji wa mazao ya misitu wilayani Rufiji kwa muda usiojulikana baada ya kutoridhshwa na usimamizi wake. Maofisa waliosimamishwa kazi ni pamoja na mkuu wa idara ya ardhi, Maliasili na Mazingira Dk.Paul Ligonja,Ofisa Misitu wilaya Gaudens Tarimo, Ofisa Misitu Yonas Nyambuya na ofisa wa wakala wa Misitu Tanzania(TFS) wa wilaya Seleman Bulenga. Waziri Mkuu amefanya uamuzi huo leo(Jumatatu, september 26, 2016) wakati akizungumza na watumishi wa wilaya ya Rufiji kwenye ukumbi wa halmashauri kabla ya kuzungumza na wananchi katika mkutano wa hadhara kwenye viwanya jumba la maendeleo wilayani Rufiji . UTEKELEZAJI wa mradi wa kuleta mageuzi katika sekta ya maliasili umesaidia kuongeza mapato katika wilaya ya kilosa, mkoani hapa ,baada ya kukusanya ushuru wa sh.milioni 290, uliotokana na mkaa. Fedha hizo zilizokusanywa kutokana na ushuru wa mkaa zimesaidia kupunguza changamoto mbalimbali za miundombinu iliyokuwa ikiwakabili. Makamu mwenyekiti wa Halmashauri ya wilaya ya kilosa, Hassan Kambega, alisema hayo wakati wa uzinduzi wa mradi wa awamu ya pili katika wilaya ya mvomero na morogoro. Mradi unatekelezwa na shirika la kuhifadhi misitu asili Tanzania (TFCG), kwa kushirikiana na Shirika la kuendeleza nishati asilia Tanzania (TATEDO), kwa ufadhili wa shirika la maendeleo na ushirikiano la Uswis (SDC). Alisema ,fedha hizo zimeweza kujenga barabara, nyumba ya mwalimu, mganga, ofisi za vijiji na kuwalipia bima ya afya ya jamii wananchi wa vijiji 10 vilivyoingizwa katika mradi huo. KUSHAMIRI kwa biashara ya mkaa unaotokana na miti aina ya mikoko ambao una soko kubwa nje ya nchi,kumesababisha kasi ya ukataji wa miti hiyo katika maeneo ya pwani ya Tanzania. Eneo ambalo limeathirika Zaidi na uvunaji haramu wa miti hiyo kwa ajili ya uchomaji mkaa ni pemba mnazi na Tundwi Songani jijini Dar es salaam. Katika uchunguzi uliofanywa na Nipashe, mkaa unaotokana na mikoko una soko kubwa katika visiwa vya Zanzibar, Comoro, shelisheli nan chi za uarabuni. Uchunguzi wa gazeti hili umebaini kila siku Zaidi ya tani 20 za mkaa wa mikoko unavunwa katika eneo la msitu wa shungu, Tundwi Songani, sawa na tani 600 kwa mwezi. Akizungumza na gazeti hili,Mwenyekiti wa mtaa wa songani, Abdulmalik Ally, alisema kiwango hicho ni sawa na idadi ya miti 20 inayokatwa kila siku, ambayo kila siku mmoja una uwezo wa kutoa mkaa wenye uzito wa kilo 1,000(tani moja). Not only is Tanzania losing its forest cover but revenues from forest products are not being well managed. Open forests are at great risk of depletion despite there being laws and guidelines governing revenues from forest products, the collections have been minimal due to a number of shortfalls. Lindi .By 2013 Tanzania was losing almost sh93 billion annually in forest revenues according to a Traffic report. Traffic –the wildlife trade and monitoring network is a joint project of the worldwide Fund for Nature (WWF) and the International Union for Conservation of Nature (IUCN) which deals with endangered species. Approximately 40 per cent of the land in the country is covered with forests and woodlands. This constitutes about 33.5 million hectares of forests and woodlands, including both open (unreserved) and reserved forests. The open forests are at great risk of depletion despite there being laws and guidelines governing management of revenues from forest products. The collections have been minimal due to a number of shortfalls. Subira Juma was born in Soga and has grown up in this village in Kibaha district of Coast region. He is an avid environmentalist, mobilising the youth in in five other villages – Mpiji, Kipangege, Boko Mnemela, Malangalanga and Kibwemwenda, to conserve and protect forests. They have also teamed up to conserve and protect Ruvu Kusini forest which was, until recently, home to illegal harvesting of its products with teams of environmental criminals coming from as far away as Kigoma in the western part of the country. The youth from the villages have nothing significant to show or tell anyone who visits one of the villages, but they boast of conserving the Ruvu Kusini forest even now when there is neither a district nor a national programme to conserve and protect it. “There are a few cases of illegal harvesting of the forest but we have driven off all the gangs from up-country who used to camp inside the forest to make charcoal, saw timber or cut building poles. Now we get 20 per cent of all the fines imposed on people who are caught with illegally harvested timber or other forest products,” explains Juma, adding that the percentage of revenue is merely a verbal agreement between the village and the Tanzania Forest Services Agency (TFS). He says that there is need to review the rates so that the village retains 32 per cent of the revenue and TFS takes the rest and that such agreement should be written. There have been allegations that the agreement has remained verbal because there were no guidelines on the forest management plan, which would also stipulate who gets what from impounded forest products from Ruvu Kusini forest between the villages and TFS. It has come to light, however, that the guidelines have been in place since 2013 and by December 2015, the same had been translated into Kiswahili for easy understanding by village governments, village natural resources committees and other stakeholders in the forestry sector. Until January, this year, the guidelines had remained unknown to village governments and TFS had not taken any measures to enlighten the villages on the procedures. “Lack of information has stalled efforts to conserve the forest by the communities. If people knew about the management plan and what benefits they stand to gain from conserving the forest, then their morale would be high and the forest would be better conserved and protected. Moreover, the current environment committee needs some training because all its members are new. They need a bit of education in order to perform well and TFS is not coming to rescue the situation,” explains Juma. There is also the issue of part-time employment which TFS had promised the communities. From time to time, TFS provides opportunities for part-time employment such as planting trees, weeding or making fire breaks around some sections of the forest. These jobs were to be given to members of the villages adjacent to the forest but there are allegations that employment is done unfairly. “There are locals who still make charcoal; they do it not for the love of the job because charcoal-making is a tough activity. It hurts a lot. But they have to do it for lack of a better alternative. If TFS had kept their word about providing employment from time to time, few people would engage in the business,” explains Zaina Ramadhan, a member of Soga environment committee. The gap was further revealed when Ms. Ramadhan alleged that there is little flow of information from decision makers and government officials to communities who conserve and protect forests. As a result the latter do not have current information regarding issues related to forest resources. “Villagers demand information but government officials are slow to act and provide up-to-date information. This gap has slowed down the conservation of forests,” she says. Fadhil Hassan Lyombo is Soga village chairman. Speaking about conservation of RuvuKusini forest he explains that until 2013, it was heavily degrade because people from up country as especially from Iringa and Kigoma, had settled right inside the forest and engaged in massive charcoal making, among other activities. “This deprived locals of the benefits from the forest. So, we decided to drive them away. Now there are a few people from the community who make charcoal on a small scale in order to earn a living,” he says, adding that village governments are working with TFS to find ways of initiating other income generating activities that would reduce pressure on the forest. Soga and Kipangege villages have their own village land forest reserves but they are not ready for harvesting. While conservation is going on, village governments have started the process to engage in participatory forest management programme so that when their forest are ready for harvesting they should be in a position to engage in sustainable trade in forest products. “The youth are in the forefront when it comes to conserving and protecting village land forest reserves, so they look forward to benefiting from their efforts when the harvesting plans are in place and the forests are ready for harvest,” says Juma Ali, a member of Soga village environment committee. Speaking on the situation of forests in Kibaha district, TFS Assistant Zonal Manager, Eastern Zone, Bernadetha Kadala, says that the management plan for Ruvu Kusini forest is ready and the guidelines on the procedure to undertake participatory forest management are also in place. She explains that officially no harvesting was going on in Ruvu Kusini forest, although illegal logging and other activities were taking place. “The communities are doing a good job to protect the forest and most of the illegally-procured products are confiscated and their owners punished according to the law,” she says. Wingi wa vizuizi vya ukaguzi barabarani umetajwa kusababisha rushwa na usumbufu kwa wafanyabiashara wanaosafarisha mazao ya misitu. Hayo yalielezwa jana na wafanyabiashara wa mbao na magogo kwenye warsha ya wafanya biashara wa mbao na magogo wa uwanda wa Selous hadi Ruvuma, iliyofanyika jana katika manispaa ya Lindi. Wakizungumza kwenye warsha hiyo iliyoandaliwa na mashirika ya kiraia ya Jumuiko la Maliasili Tanzania(TNRF), Mtandao wa Kijamii wa Usimamizi wa Misitu(MJUMITA) uhifadhi, usimamizi na maendeleo ya mpingo(MCDI) kupitia kampeni ya mama misitu inayofadhiliwa na serikali ya Finland kupitia ofisi za WWF zilizopo nchini, walisema vizuizi hivyo vinasababisha rushwa, usumbufu na kuwapotezea muda. Frank Nganyanyuka alisema wingi wavizuizi unasababisha wafanyabiashara hao kupoteza muda mwingi barabarani. “Wastani kila eneo lenye kizuizi tunatumia saa moja, maana yake siku mzima inakwisha kwa ajili ya kusimama, vizuizi vipunguzwe havinafaida zaidi ya kuchochea rushwa tu,”alisema Nganyuka. Mfanyabiashara Mikidadi Kinogeandanga wa Lindi, alisema licha ya kuchelewa lakini pia maofisa waliopo katika vizuizi hivyo niwasumbufu na hawaziamini nyaraka ziliandikwa na maofisa wenzao wa kule zilikotoka mbao na bidhaa nyingine za misitu. Alihoji nisababu gani zinazosababisha wasiwaamini wenzao ambao wanadhamana na mamlaka kama yao. Alibainisha ili kuepuka kuchelewa wanajikuta wanarahisha usumbufu kwa kutoa chochote, kwa madai bila kufanya hivyo wanasumbuliwa hata kama hawakiuki, sheria, taratibu na kanuni. “Malendego, Jaribu, Kimanzichana sijui wapi, niusumbufu tupu, lakini yote hayo nikutaka rushwa tu,” alisema Kinogeandanga. Ali Kinunga anayefanyia biashara yake wilayani Kilwa, licha kuyalalamikia wingi wa vizuizi alilaumu serikali kutowashirikisha wafanyabiasha wa mazao ya misitu ili kupata maoni yao kabla ya kupitisha sheria ambazo baadhi yake siyo rafiki na zinawaumiza. Alitolea mfano mabadiliko ya tozo mbalimbali ambayo yamekuwa yakiwaumiza. Kwamadai kuwa wanaotengeneza kanuni na sheria hawajui matatizo na vikwazo wanavyokutanavyo wafanyabiashara. Badala yake wamekuwa wakitoa maagizo tu. Naye Bakili Kilete anayefanyia biashara yake katika wilaya hiyo ya Kilwa, alisema sheria zinazohusu misitu siyo rafiki kwa wafanyabiashara ikiwamo na uwepo wa vizuizi vingi visivyo natija kwa serikali na wafanyabiashara. “Usumbufu na wingi watozo unasababisha tutafute njia nyingine ili tupate faida, maana kwa sheria zilizopo kama utataka utii na kutekeleza huwezi kufanyabiashara hii,” alisema Kilete. Akijibu malalamiko ya wafanyabiashara hao, mratibu wa usimamizi shirikishi wa misitu nchini, Joseph Kigula, alisema sababu ya kuwepo vizuizi vingi ni kwasababu baadhi ya wafanyabiashara sio waaminifu. Akibainisha kuwa wafanyabiashara wangekuwa waaminifu kusingekuwa na sababu ya kuwa na vizuizi vingi. Wafanyabiashara wa mbao na magogo kanda ya kusini wakutana mjini lindi kujadili fursa na changamoto za biashara ya mazao ya misitu ili kueneza shughuli za Usimamizi Shirikishi wa Misitu Nchini Jumuiko la Maliasili Tanzania(TNRF) pamoja na washirika wake; Shirika la Kuhifadhi Mpingo na Maendeleo-MCDI, Mtandao wa Jamii wa Usimamizi wa Misitu Tanzania-MJUMITA, Shirika la WWF Tanzania pamoja na Kampeni ya Mama Misitu. Lengo la Warsha hiyo ya wafanyabiashara ni pamoja na kuongeza nguvu katika jitihada za kuimarisha mijadala kwa wafanyabiashara wa mbao/magogo juu ya mambo muhimu yanayosibu biashara ya mazao ya misitu ikiwemo kuoanisha baadhi ya Changamoto na Mafanikio. Warsha hiyo imelenga katika kuwasilisha fursa zilizopo za kufanya uvunaji katika misitu ya hifadhi za vijiji ikilinganishwa na uvunaji katika misitu ya wazi ikiwa pamoja na kutoa ufafanuzi wa mambo ya kitaalam yahusuyo upimaji na ukadiriaji wa ujazo wa mbao. Sambamba na utekelezaji wa shughuli za mradi wa washirika WWF Tanzania na Jumuiko la Maliasili Tanzania unaohusu mambo ya uwekezaji katika misitu na ardhi (unaofadhiliwa na WWF Finland kupitia ofisi za WWF Tanzania) pamoja na shughuli za Kampeni ya Mama Misitu (inayofadhiliwa na Serikali ya Finland). Miradi hii miwili ndiyo itakayogharimia warsha hiyo. Juhudi kubwa ya kufikisha elimu kwa jamii juu ya uhifadhi, usimamizi na uvunaji endelevu wa misitu iliyofanywa na serikali kwa kushirikiana na mashirika yasiyo ya kiserikali kupitia kampeni mbalimbali ikiwemo ya mama misitu inayofadhiliwa na nchi ya Finland imeanza kuzaa matunda. Baada vijiji kuanza kuhifadhi misitu, na wananchi kuunga mkono juhudi hizo baada yakuanza kunufaika na utunzaji huo. Miongoni mwa vijiji ambavyo wananchi wake wameanza kunufaika na uhifadhi wa misitu ni kijiji cha Nanjirinji A, kilichopo wilayani Kilwa mkoani Lindi. Wananchi wa kijiji hicho wameanza kunufaika na mpango huo kupitia mapato ya uvunaji wa mazao ya msitu wao wa Mbumbila. Mwenyekiti wa serikali ya Kijiji hicho, Jafariri Nyambate alisema wameanza kutoa ruzuku kwa akinamama wajawazito wakazi wa kijiji hicho. Kila mjamzito hupewa shilingi 30,000 anapokaribia muda wake wakujifungua. Alisema. Alise hilo nijambo moja kati ya mengi yaliyofanywa na kijiji hicho kwa wananchi kutokana na mapato ya msitu waliohifadhi unaojulikanakwa jina la Mbumbila. Nyambate ambaye kijiji chake pia kimeweza kuwanunulia sare wanafunzi wa shule ya msingi ya kijiji hicho, kuchimba visima vya maji, kujenga soko la kijiji, madarasa, nyumba ya mwalimu, kuweka umeme jua kwenye shule ya kijiji hicho na kutoa ruzuku kwa akinamama wajawazito, alisema uenda mafanikio hayo yasiwe endelevu. Kutokana na uvamizi wa wakulima na wavunaji haramu unatishia kurudisha nyuma mafanikio hayo, kwani juhudi zakuwaondoa zimekuwa ngumu kufanikiwa kwasababu wakulima wamekuwa wakirejea kila unapofika msimu wa kilimo wa zao la ufuta. “Wanatumia nguvu kulima ndani ya msitu na wanapambana na kamati yetu ya maliasili inapofanya doria, mara moja wamewahi kuwazidi nguvu walinzi wetu na kupora pikipiki,” alisema Nyambate. Kuhusu uvunaji haramu, Nyambate alisema wakulima na wavunaji haramu wengi wanatoka nje yakijiji na wilaya hiyo, akibainisha kwamba kuna mahusiano na ushirikiano mkubwa kati ya wakulima wavamizi na wavunaji haramu. “Wakulima wengi wanaishi kwenye misitu ya hifadhi ya wazi ambayo inapakana na msitu wetu, wanawaongoza wavunaji haramu ambao mazao ya msitu wanayoiba wanahifadhi ndani ya vibanda vya wakulima hao,” alisema Nyambate. Ofisa mtendaji kata wa kata ya Nanjirinji, Haji Limba, alikiri kuwa mapato yanayotokana na msitu huo yamesababisha kuanza kuwa na uhakika wa ulinzi kwenye kata hiyo iwapo ujenzi wa kituo cha polisi kinachojengwa katika kata hiyo kitakamilika. Alisema sehemu ya fedha zinazotumika katika ujenzi huo zilichangwa na kijiji hicho ambazo zilitokana na mauzo ya mazao ya msitu wa kijiji hicho. Hata hivyo alibainisha kwamba wakulima wa ufuta na wavunaji haramu wnatishia kukwamisha mafanikio yaliyoanza kufikiwa. “Hata hivyo juhudi kubwa inayofanywa na uongozi wa kijiji,kata,halmashauri ya wilaya na mkuu wa wilaya ya Kilwa zinapunguza kasi ya uvamizi wa wakulima hao na wavunaji haramu,maana msaada kutoka wilayani ni mkubwa sana,” alisema Limba. Naye mwenyekiti wa serikali ya kijiji cha Ngunichile wilayani Nachingwea, Seif Ng’wang’wa ambaye kijiji cha kimehifadhi msitu wenye ukubwa wa hekta 1296 unaojulikana kwa jina la Namitonga, alisema wavunaji haramu baada ya kumaliza miti katika misitu ya wazi ya vijiji jirani na kijiji hicho, wameanza kuvamia msitu huo. Alisema kazi ya kuulinda imekuwa ngumu baada ya wavamizi kubadili mbinu.“Tunajitahidi sana kufanya doria mchana, walipogundua kuwa mchana inawawia vigumu kufanya uhalifu wanafanya usiku,” Alibainisha kuwa uharibifu unaofanywa na wavunaji haramu unatishia kufikiwa na kutekelezwa mipango ya maendeleo ambayo utekelezaji wake ulitegemea mapato ya mauzo ya mazao ya msitu huo. Ofisa mtendaji wa kijiji hicho, Seleman Soya alisema licha ya wavunaji haramu lakini pia changamoto nyingine niwakulima kuvamia msitu huo. Alisema.“wavamizi niwengi nivugumu sisi wenyewe kukabiliana nao, watatushinda nguvu inahitajika nguvu kubwa kutoka serikalini vinginevyo watazidi kuumega,”alisema na kutahadharisha Soya. Alisema migogoro ya mipaka baina ya vijiji hasa ambavyo havija hifadhi misitu inachangia kukwamisha wananchi kukosa matumaini ya kunufaika na msitu huo. Bibi Arafa Batazari(80) mwananchi wa kijiji hicho, alisema licha ya wananchi kutarajia kunufaika na mauzo ya mazao ya msitu huo, lakini pia hali ya ukame inaweza kurejea katika maeneo hayo. Anasema tangu waanze kuhifadhi misitu, ukame ulianza kupungua kutokana na mvua kunyesha mara kwa mara. “Tulianza kupata mvua kama zamani, maana mito na vijito vilikuwa vinataririsha maji muda wote kwa sababu kulikuwa na miti kandokando ya mito na vijito”lakini wakulima walifyeka miti yote ikawa haitunzi wala haitirirish maji tena mvua ikaanza kuadimika,” alisema bibi huyo. Tatizo hilo lipo pia katika kijiji cha Miima, wilaya ya Lindi. Kaimu mwenyekiti wa kijiji hicho ambacho kimehifadhi msitu wenye ukubwa wa hekta 2262, Omari Katenda, alisema uvunaji haramu kwa kutumia misumeno ya moto umeshika kasi na kutishia uwepo wa msitu huo. Alisema hali ya msitu huo ni mbaya, aki taadhirisha zisipochukuliwa hatua za haraka kudhibiti kasi hiyo unaweza kutoweka. Alisema baadhi ya wavunaji ambao leseni zao zinawaruhusu kuvuna kwenye misitu ya wazi wanavuna kwenye msitu huo bila kufuata taratibu na kwakutumia misumeno ya moto. Mwenyekiti huyo ambae anakaimu baada ya viongozi wa awali wa kijiji hicho kuondolewa na wananchi kutokana na tuhuma ya kushindwa kudhibiti uvunaji haramu na kushirikiana na wavunaji hao. Alisema hivi sasa wavunaji haramu wanapitia vijiji jirani ambavyo havija hifadhi misitu na kudai maeneo wanayovuna yapo nje ya kijiji na msitu huo. Aldophina Mbwago, mjumbe wa serikali ya kijiji hicho alisema uvunaji haramu unashamiri kutokana na kiwango cha adhabu wanachoadhibiwa wavunaji haramu. Alisema udhaifu wa sheria uliopo unatumiwa na wavunaji kukiuka taratibu, kanuni na sheria. “Wavunaji wanakutwa wametumia misumeno ya moto wanatozwa faini ya shilingi ya shilingi1,000,000 ambayo nikidogo ikilinganishwa na hasara na madhara yatayotokea baada ya nchi kugeuka kuwa jangwa,” alisema. Alishauri kosa la uvunaji haramu na kutumia misumeno ya moto liingizwe kwenye makosa ya uhujumu uchumi. Tatizo hilo lipo pia katika kijiji cha Kiwawa katika wilaya hiyo ya Lindi. Diwani wa kata ya Kiwawa, Mohamed Mkulyuta, alisema msitu uliohifadhiwa na kijiji wenye ukubwa wa hekta 8896, upo katika hatari ya kutoweka kutokana na kasi ya uvunaji haramu unaofanyika. Akibainisha kuwa mgogoro wa mipaka baina ya kijiji hicho na vijiji vya Namkongo na Mputwa unachangia kushamiri kwa uvunaji huo kwasababu wavunaji na wakulima wanasema maeneo wanayovuna na kulima yapo kwenye vijiji vya Namkongo na Mputwa. Ahmad Tendele, mwananchi wa kijiji hicho, alisema msitu huo upokatika hatari ya kutoweka kutokana na kasi ya uvunaji haramu iliyopo kwenye msitu huo. “Hali nimbaya sana kwenye msitu, lakini mgogoro wa mipaka kati ya kijiji na Mputwa na Mkongo unachangia uharibifu huu, na mpaka sasa hatujui serikali itamaliza lini mgogoro huu,” alisema Tendele. Baadhi ya viongozi na watendaji wa wilaya wamekiri kuwepo kwa tatizo hilo, huku wakieleza mikakati yao katika kudhibiti na kukomesha tatizo hilo. Mkurugenzi mtendaji wa halmashauri ya wilaya ya Lindi, Oliver Vavunge alikiri kuwa tatizo la wavunaji haramu lipo pia katika vijiji vya halmashauri hiyo. Alisema kwa kutambua uzito wa tatizo hilo, halmashauri yake imetengeneza kikosi kazi kinachoundwa na watalamu kutoka katika idara mbalimbali za halmashauri hiyo. Timu ambayo inafanya doria kwa kushirikiana na viongozi wa vijiji na kata inazotembelewa na timu hiyo, ambayo hupeleka taarifa zinazoelezea mafanikio na changamoto ya doria hizo kila wiki. Alisema taarifa hizo husomwa na kuwekwa hadharani kila mwezi. Mkuu wa wilaya ya Lindi, Yahaya Nawanda, alisema anatambua umuhimu wa kuhifadhi na kuendeleza misitu. Hivyo wamejipanga kukabiliana na wavunaji haramu na wakulima wanaovamia misitu ya hifadhi. Akionya kuwa kutakuwa na doria za mara kwa mara tena za kushitukiza, hata hivyo hakutakuwa na upendeleo wala ubaguzi kwa wale wote watakaokamatwa kupitia doria hizo au njia nyingine. “Msako utakaofanyika hauta angalia cheo, hadhi wala madaraka ya mtu ambaye atabainika kutenda vitendo hivyo au kushiriki kufanikisha vitendo hivyo, maana kama sisi tumerithi misitu lazima jitihada zifanyike ili nasi turithishe kwa vizazi vijavyo,” alisema Nawanda. Kwa upande wake, mkuu wa idara ya ardhi na maliasili wa halmashauri ya Wilaya ya Nachingwea, Lington Nzunda. Akizungungumzi kwa niaba ya mkurugenzi mtendaji wa halmashauri hiyo, alisema halmashauri inamikakati na mipango mingi ya kuhakikisha kasi ya uvamizi wa misitu na uvunaji haramu unapungua kama siyo kwisha kabisa. “Wananchi wanawatambua wavunaji na waharibifu wengine wa misitu kwa sababu wengine wanaishi nao, lakini hawawafichui ,” alisema Nzunda. Aliutaja mkakati mwingine ambao umeanza kutekelezwa ni Halmashauri hiyo kutoa mafunzo kwa askari wa vijiji, ambao watakuwa wanashirikiana na kamati za maliasili za vijiji kufanya doria kwenye Misitu yote iliyo kwenye maeneo ya vijiji. Uenda tatizo la uharibifu wa misitu halipo katika vijiji hivyo tu hapa nchini. Unaposikiliza maelezo ya wananchi na viongozi wa vijiji unagundua kuwa baadhi ya wananchi wameanza kutambua faida za kuhifadhi misitu na hasara zinazotokana na uharibifu wa misitu. A preserved community based forest at Nahanga village in Lindi district. Lack of funding and modern equipment in agriculture have often been the reasons behind dwindling agricultural production in the country. However, villagers in Nahanga village, Ruangwa District in Lindi Region, have found new sources to fund their farming activities by selling forest products such as logs and trees for timber production. The sale of such products has helped Nahanga villagers to purchase a modern tractor worth Sh50m to help them on the farms, shifting from their traditional hand-hoe farming. Such an effort intends to promote the Kilimo kwanza initiative, introduced by the government more than seven years ago where revenues from forests is used to promote agriculture farming. Nahanga village is moving one step ahead in implementing the initiative as the villagers use modern equipment in farming, helping them to minimize working hours. Hamis Mbinga, a ward executive officer in Nahanga, explained that previously the villagers used the hand hoe for farming, which took a lot of time. He was speaking during Mama Misitu campain in the village. The campaign has gone a long way to help communities manage forests and benefit from the resource. It is a five-year communication programme coordinated by the Tanzania Natural Resources Forum (TNRF) and funded by the Finnish government. The aim is to institute good governance of Tanzania’s forests and promote sustainable harvesting of resources so that Tanzanians can increasingly benefit from proper management of forests. “It was not easy to afford hiring tractors because it is very expensive while most of villagers have low income,” the village leader explained. “Since the village started owning the forest and selling its products they have been enjoying farming activities owing to cheap availability of modern farming equipment which minimize working hours compared with hand hoe farming,” he added. “As the village recognized the importance of the agriculture sector we created a special ‘tractor project’ which will be used to generate more income to be used to purchase another tractor,” he said. According to the ward officer, for a villager to get the tractor service they should hire it by paying Sh. 50,000 per acre. Since the village purchased the tractor most villagers had responding to the project due to the fact that it minimized working hours and provided better results compared to hand-hoe farming. Contrary to other villages where the owning of forest is funded by other development partners, the process to own the forest in Nahanga was funded by the villagers themselves who contributed Sh. 20m to start with. “The village plans to add a new tractor very soon in order to continue promoting the Kilimo Kwanza initiative and ensure food security over the area,” the officed remarked. However, due to the good progress demonstrated by Nahanga village, it has been considered as a role model by the neighbor villages. Mchichiri is the village located nearby Nahanga village; this is among the villages which were attracted with the good progress done by Nahanga village by using forest product revenues. Charles Joseph is a Ward Executive Officer at Mchichiri village, his village wanted to manage its own forest so that they can also benefiting from it. “We decide to move from our village to Nahanga purposely to learn on what they did to benefit from the forest product. After being educated the village makes efforts to insure that our village also owns the forest and we successful managed to own it. “Soon after, we started receiving revenue from the forest and immediately we built a village office. Before we had no office because we had no money to build one,” he said. Apart from promoting Kilimo Kwanza the village has also benefited from forest products as they managed to build a health centre, clas rooms and a village office. He explained that despite all achievements the village is facing with a number of challenges including clearing of forest by burning the tree, this is done by nearby villagers. Meanwhile, while Nahanga village is enjoying the fruits of having forest in the village the Sindano village has nothing to be proud of as achievements attained from forest products. Despite the fact that Sindano village is endowed with abundant natural resources, it lacks mechanisms for utilizing them effectively as they are not aware of how they can benefit from them. There is no good social service to talk of in Sindano village compared to other villages which have effectively benefited from forest products. Moris Mrope, chairman of Sindano village, told journalists that they had low understanding of benefits from forests. The village chairman urged the government and other development partners to join forces and provide education to the villages on how the can use forest to benefits. Their spokesperson, Mr Frank Nganyanyu, said yesterday there were almost 20 checkpoints between Nachingwea and Dar es Salaam alone. “Timber consignments are inspected at every checkpoint, causing major delays for cargo to reach the market,” he said. He revealed that in “most cases” they were spending at least 50 minutes at every checkpoint. He accused officials manning the checkpoints of deliberately causing unnecessary delays in their attempt to solicit bribes. Traders are proposing that the checkpoints be reduced to only three or introduce one in every district to avoid excessive delays of cargo movement. The traders were speaking during a forestry stakeholders’ forum, which was part of the implementation of the Mama Misitu campaign and the partnership programme between World Wildlife Fund (WWF) and Tanzania Natural Resource Forum (TNRF) programme on forest and land­based investment funded by the Finnish government. Another timber dealer, Mr Mikidadi Saidi, revealed that the presence of many checkpoints compelled them to bribe the Tanzania Forest Service Agency (TFS) and local government officials. Despite a major relief the free education policy has brought to majority of poor parents, some still struggle to buy school items for their children. Nanjirinji­ A Village in Lindi Region has realised this, and thus, for its own initiative, it has gone further beyond the policy and introduced ‘free uniforms’ for all pupils in the village. Now, parents in the village have all reasons to smile as they do not have to dig in their pockets for school fees and uniforms. The pupils always look neat as opposed to other villages in the country where poor parents cannot afford buying the uniforms, as a result their children wear shabby uniforms. But, for Nanjirinji­A Village, as the academic year started last January, almost every pupil put on a new uniform the village has bought for them. Before the village had introduced the system to buy uniforms for the pupils last year, parents were struggling to buy uniforms for their children. Delayed repair or replacement of the required spare part(s) is highly ‘celebrated’ by dishonest timber traders busy shipping to Zanzibar unspecified volumes of timber uninterrupted. Recent visit to Kilwa District in Lindi Region by a team of journalists from different media houses, the field trip that focused on impact assessment for skills gained by villagers on participatory forest management, enhanced gathering of information about ongoing deforestation with subsequent tax evasion. “Not long time ago most of forest reserves in Tanzania were considered ‘no man’s property’ despite the common knowledge that the resources belonged to the government. The recent field trip gave an opportunity to a team of journalists from different media houses in Dar es Salaam to visit various villages in Lindi Region and gathered first-hand information from the local community about the relevance and their appreciation of forest management participatory arrangement. Among the interviewed people are the residents of Ngunichire village in Nachingwea District, Lindi Region who could not hide their enthusiastic feelings over the initiative that enhanced sharing of benefits of forest resources. “In essence, community awareness on forest ownership was entirely pegged on government property locally referred to as ‘mali ya umma’, the interpretation was associated with some gloomy connotations such that forests were considered ‘nobody’s property’. The attitude was both dangerous and self destructive bearing in mind that effects of environmental degradation caused distress to all. As a result, illegal timber trade was celebrated in some villages with insignificant gains going to the pockets of few associates in crime. Timber traders have raised concern over a turf war between the Tanzania Revenue Authority (TRA) and the Tanzania Forest Service (TFS), saying it is hurting their operations.